Located on Central Park, Business Central Darlington is a modern office complex with prices starting at just £49 per week with all utilities included. 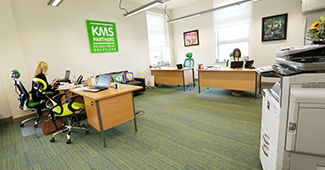 All our offices also benefit from easy-in-easy-out terms. 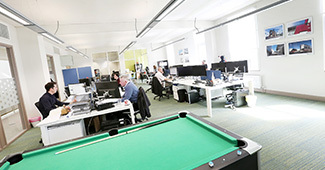 Once you’ve decided to make business central your home our team will walk you through the process enabling you to move in and get set up quickly, minimising disruption to your business. You also get discounted rates on meeting rooms at Business Central as well as the North East BIC in Sunderland. Plus access to reception services, mail handling, and our on-site fitness studio and spa. 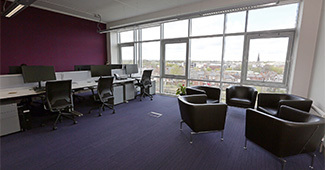 "It is like a business community here, it can be very lonely being in the office on your own but I regularly head down to the central atrium and network"
The whole office complex, in the heart of Darlington, benefits from super-fast broadband and as standard our offices include 1 mobile app or desk phone with local number. A four storey building with full disabled access, all floors have kitchen areas complete with appliances. Wet rooms are fitted throughout the build making it an ideal choice for cyclists. All clients can also take advantage of the communal atrium area, a great place for networking and meeting clients. 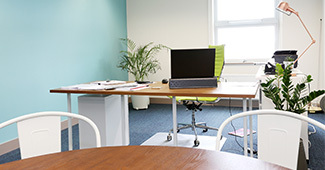 Alternatively you could take advantage of 20 per cent discounts available on meeting room hire both at Business Central and at the North East Business and Innovation Centre in Sunderland.